One of the keys to warehouse space optimization is using the right warehouse storage systems. JDH Warehousing Systems can guide you through the various warehouse storage solutions and supply your company with the best warehouse storage options. 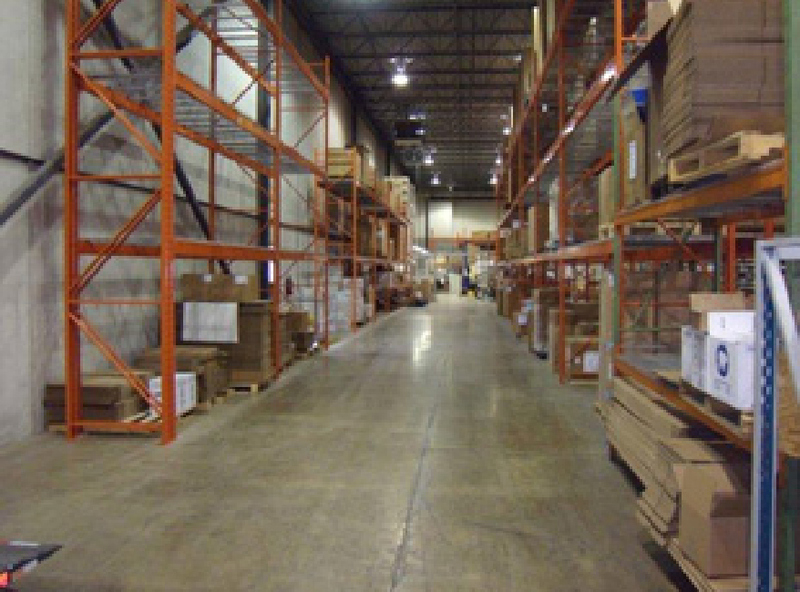 From warehouse shelving to warehouse pallet racking, JDH offers top quality products at competitive pricing. There are three main considerations in choosing the correct warehouse storage solutions. These are product sizing (cube and weight), optimal warehouse space utilization of the facility, and access to the stored items for picking and put away. If the warehouse is being used to store smaller sized items (such as spare parts), metal warehouse shelving provides the ideal warehouse storage solution. 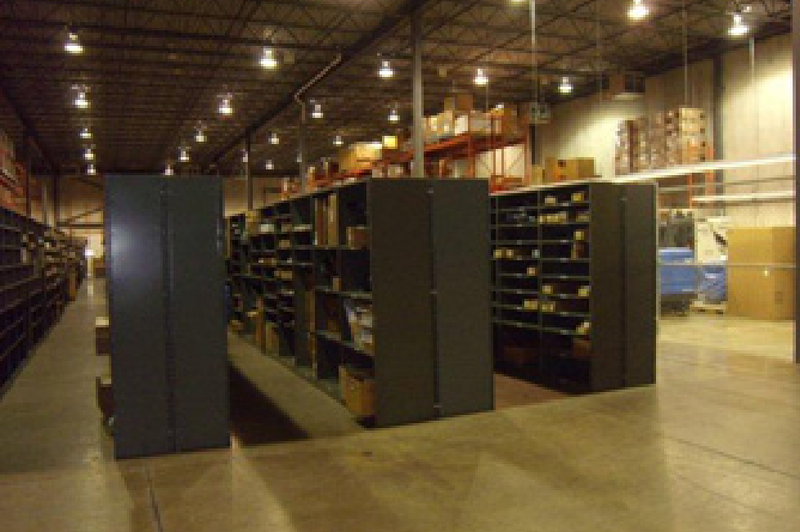 Warehouse shelving systems come in a wide variety of sizes and weight capacity. Most warehouse shelves can be configured to provide maximum warehouse space utilization in that the spacing of each shelf level can be customized to fit whatever size product needs to be stored. Also, combined with a mezzanine, warehouse shelving systems can be implemented in such a way as to utilize the 'height' of the warehouse, thereby maximizing all available warehouse storage space. A properly designed shelving system will also improve warehouse operational efficiency. 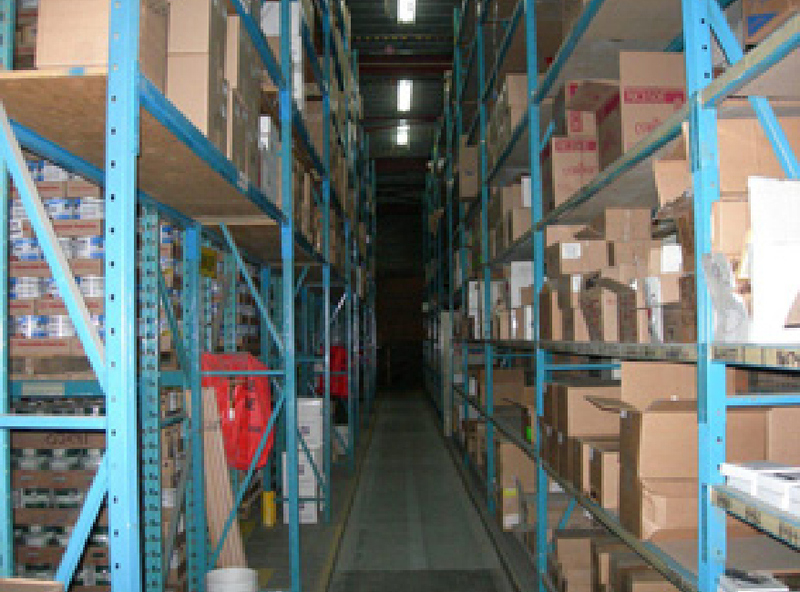 Ideally, warehouse shelves are placed in continuous rows with intermittent cross aisles. Rows of warehouse shelving are setup 'back to back' with a 4 foot aisle between the rows of warehouse shelving. This allows the warehouse operator to move up and down and across the warehouse shelving area for both product picking and product putaway. 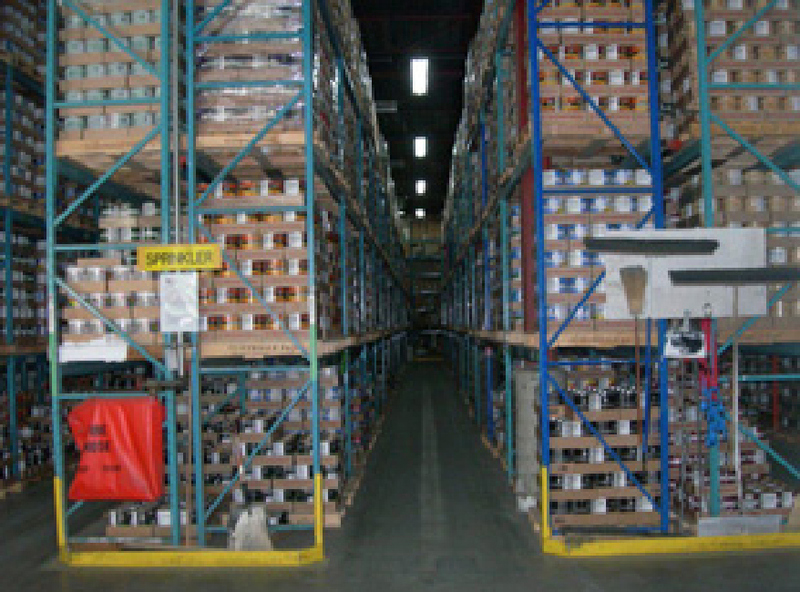 As the operator moves up the aisles, warehouse shelf storage locations can be accessed from both sides of the aisle. Ideally the stored items that are picked most frequently will be stored in the warehouse shelf locations closest to the shipping and staging areas of the warehouse. Basic single deep pallet rack storage allows for products stored on pallets to be easily put away and retreived as part of the daily in and out work requirements of the typical warehouse. Important considerations in choosing any pallet rack storage system are the load weights, pallet sizing (i.e. height, length and width), number of storage levels, material handling equipment available to putaway and pick the pallets, plus warehouse operator safety. JDH Warehousing Systems will be able to develop all the required storage specifications that will allow your company to implement the correct pallet racking solution for your operation. Aside from basic single deep pallet rack storage, there are a number of other pallet racking solutions. These pallet rack systems provide for high density storage configurations, thereby improving the warehouse space utilization of the storage facility. A wide variety of options are available depending on the context of the warehouse operational requirements. Pallet racking solutions that may suit your warehouse requirements include drive in pallet racks, push back pallet racks, pallet flow racks, narrow aisle pallet racking, and double deep pallet racks. Key determinants in deciding the best solution would be stock rotation requirements (e.g. First In First Out), product activity, seasonal builds, SKU variety and material handling equipment.